Xerox Papers and print media are engineered to bring out the very best in digital printing. Whether you need to create a high end brochure, a captivating proposal or presentation, an eye-catching business card, pamphlet or window decal, you get great results with Xerox digitally optimised media. All Xerox products have been designed, extensively tested and qualified by Xerox engineers to ensure optimum performance and outstanding productivity. Xerox® VitalityTM Pastel Multipurpose Paper (previously Xerox Multipurpose Pastels) is colored paper, versatile enough for most jobs and available in 6 vibrant colors (Blue, Green, Pink, Yellow, Goldenrod & Ivory). Great for color coding and organizing. Use for flyers, filing, forms and more. Designed to run in all types of printers and copiers. Environmentally responsible with 30% post-consumer recycled and FSC certified fiber. Available in: 8.5x11, 8.5x11 3HP, 8.5x14 and 11x17 in 20 and 24lb. 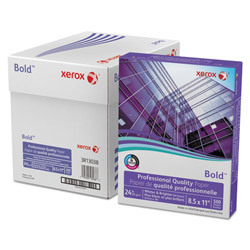 Xerox® BoldTMDigital Printing Paper is a high performance uncoated paper for color printing. Engineered and optimized for printing, giving you crisp text, vivid colors and oustanding images. 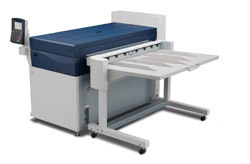 Designed to run in a wide variety of digital printers and is available in a wide range of weights and sizes. Certified environmentally responsible. Satin & Gloss Xerox® BoldTM Coated Satin and Gloss Digital Printing Papers are high performance papers for outstanding color printing. Specially formulated, low gloss surface coating provides exceptional runnability, best-in-class toner adhesion and offset quality images. Available in a wide range of weights and sizes it is great for catalogs, direct mail, brochures and marketing collateral where a softer touch and satin feel is needed. Certified environmentally responsible. Available in: 8.5x11, 17x11, 18x12, 20.5x14.33, 19x13 and 26x14.33 in 80, 100, 110 and 130lb. 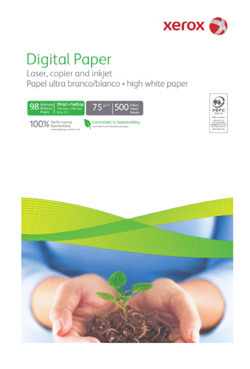 High quality plain paper for cost-effective everyday plans copying and printing requirements. Good whiteness. body and formation. CAD Inkjet Media: A full range of media for CAD engineering drawing, suitable for printing on all CAD inkjet printing devices. Aqueous Inkjet: Highest quality papers in a variety of specifications and finishes to produce colour graphics prints for a wide range of applications. Solvent Inkjet: A full and extensive range of solvent inkjet medias, including Outdoor Papers, Lightstop Display, Adhesive Vinyl and Banner Display products. You will be contacted shortly by a Xerox representative.